U-bolts feature machine threading on both arms and are designed to be inserted into two pre-drilled holes. 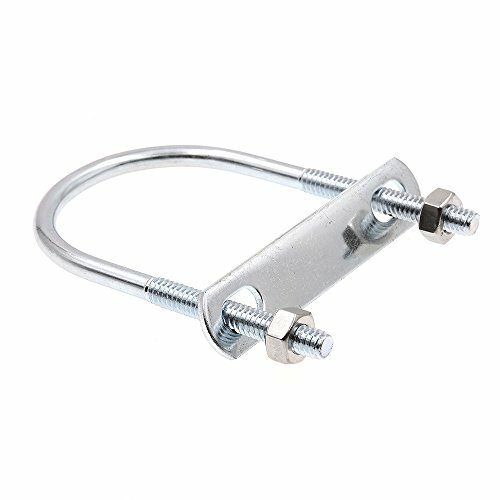 They are primarily used to anchor cylindrical objects such as pipe, conduit, cable, tubing, round bar or rope. In some applications, U-bolts may be inserted into wet concrete with the threaded arms pointing up. Once the concrete sets around the "U" shaped end, the U-bolt will be firmly anchored into place and the protruding threaded tips can be used to attach objects to the concrete. 5/16"-18 x 1" Pipe Size Plain 304 SS U-Bolt, 10 pk.